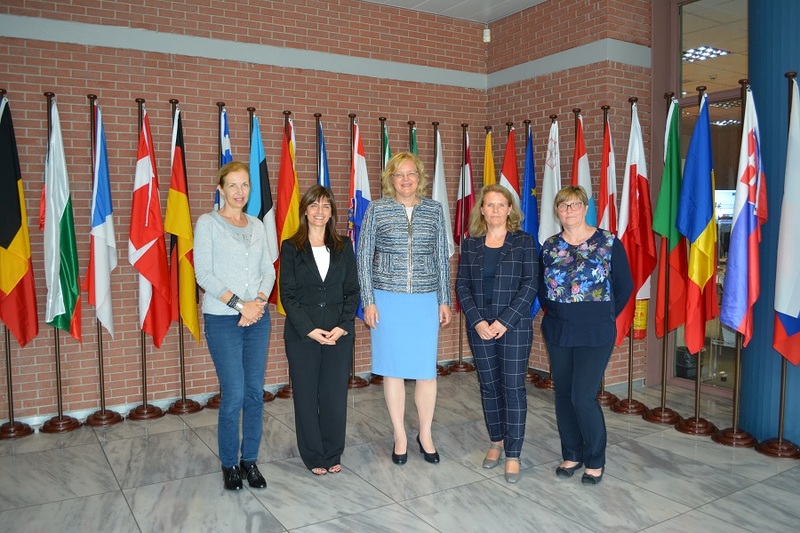 Austria’s ambassador to Greece Andrea Ikić-Böhm and honorary consul Evelyn Papadopoulou visited Cedefop on 27 June, just a few days before the start of the Austrian EU Presidency for the second half of 2018. Cedefop Acting Director Mara Brugia and the ambassador had the opportunity to exchange information and ideas on the cooperation between the agency and the Presidency, and in particular the Austrian Embassy to Greece. The ambassador took particular interest in Cedefop’s work on apprenticeships, especially the way in which Cedefop helps individual countries to review, reinforce or establish such schemes. Ms Ikić-Böhm was also keen to learn about Cedefop’s cooperation with its host country. Both sides agreed that policies cannot be ‘exported’ from one country to another but need to be devised to fit a country’s context. This is precisely where Cedefop, with its European perspective and overview of practices in all EU Member States, is well placed to share its knowledge and provide policy advice.